At the OutDoor last year I stumbled on the Zlagboard for the first time and immediately thought it’s an awesome way to train at home. The Zlagboard comes with a Smartphone App and training plans for every level, which allows you to track your progress over months. I have been training with the Zlagboard Pro since February and this is my review of it. As a father & entrepreneur it’s right now not as easy for me to go to the gym or outdoors for a round of climbing, but I feel bad if I can’t go. I’ve had a pair of Metolius Rock Rings for several years but wanted something more - something that allows me to track my training, measure progress, set goals and let me get strong. Enter the Zlagboard and the great App. I’ll look at these two components and then the training with both. 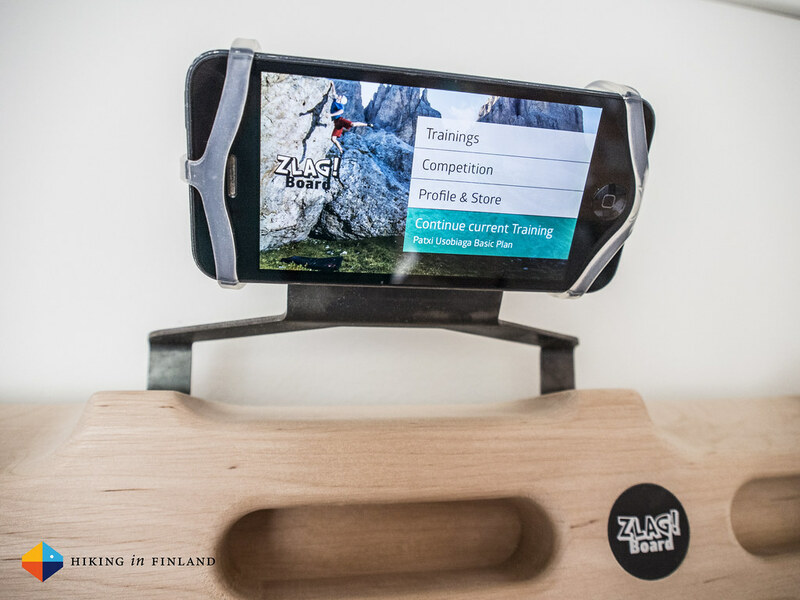 The Zlagboard App (available on iOS and Android) is the digital part of your training. 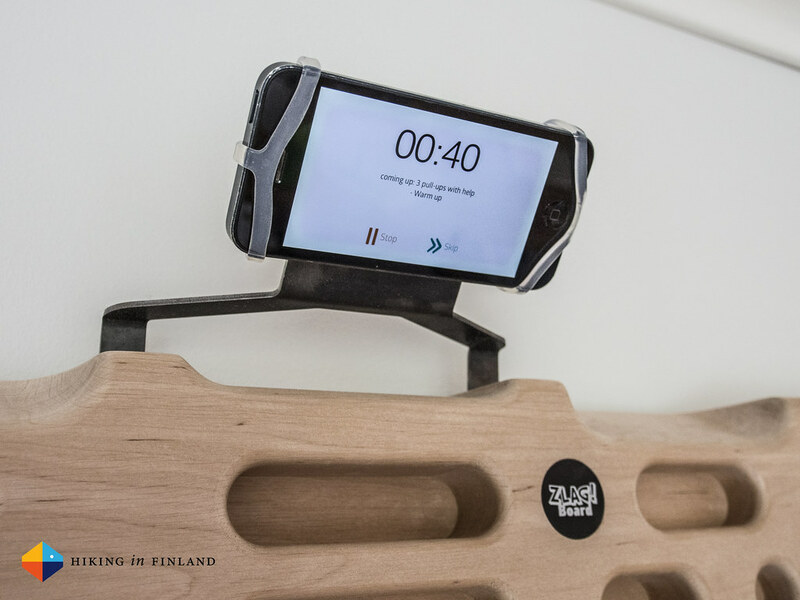 Modern smartphones like the iPhone come with a lot of sensors, and the physical Zlagboard in combination with the App make use of these sensors to measure your training. On the Start Screen you probably first want to set up your Profile and then head to the Store to activate your Zlagboard - you’ll find the code on the back of the Zlagboard to do so, and it’s good for five users. In the Store you also can purchase additional training plans, for example from GimmeKraft! Once activated I did the Test which recommends you which Training Plan to follow, but I decided I start at the lowest Level and went with the Basic (free) Plan. The four Training Plans that are shown were developed by Patxi Usobiaga and all run 12 weeks. You’re not bound to stick to the scheduled days, but it of course would make sense to do so for the best training effect. And if you miss your Wednesday training you can just do it on Thursday. I found the App well structured but missed some more instructions on some exercises, if not in the App at least on the website. This would have made it more beginner-friendly, as likely not every climber knows e.g. what’s the Full-Lock position. 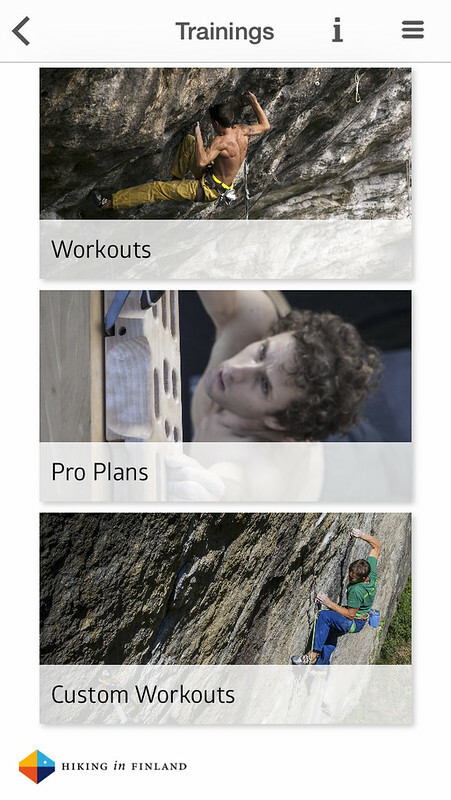 I think the prices for the Pro Plans are very fair and everything else in the App was very well designed. It worked without flaws on my old iPhone 5 (running iOS 8) and also should work well on any Android phone. 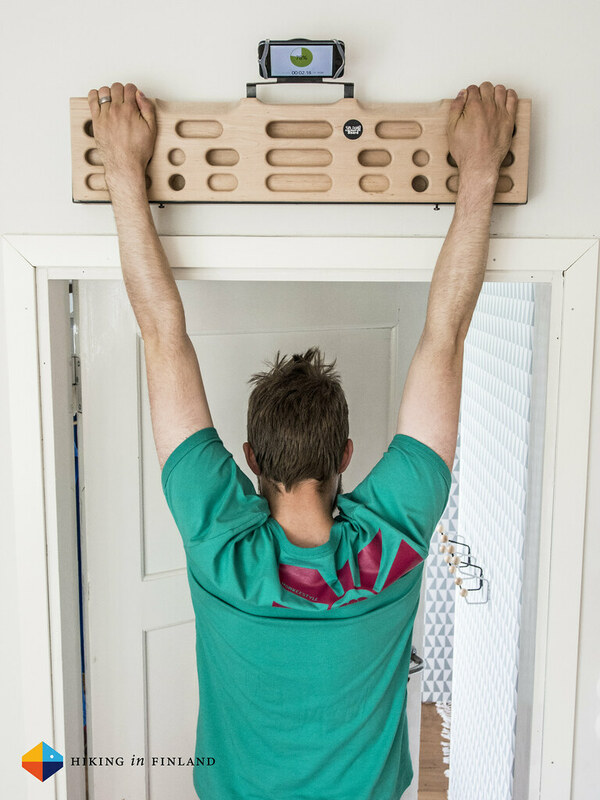 Fingerboard, hangboard, trainingboard - there’s many different names for this, but they essentially all mean the same. 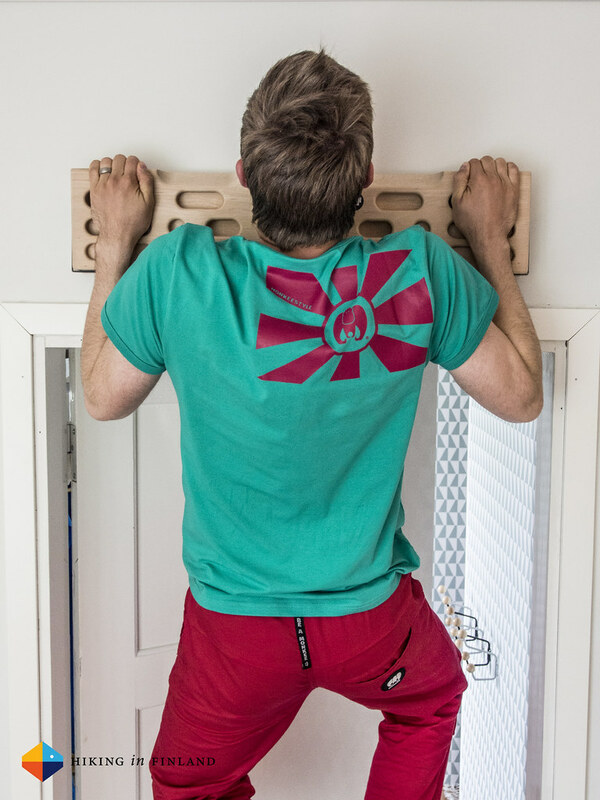 It’s a board made of wood or plastic with different sized finger holds for training at home. What’s different about the Zlagboard is that it’s a mounted on a separate frame - it is made of two (three if you count the steel) parts. 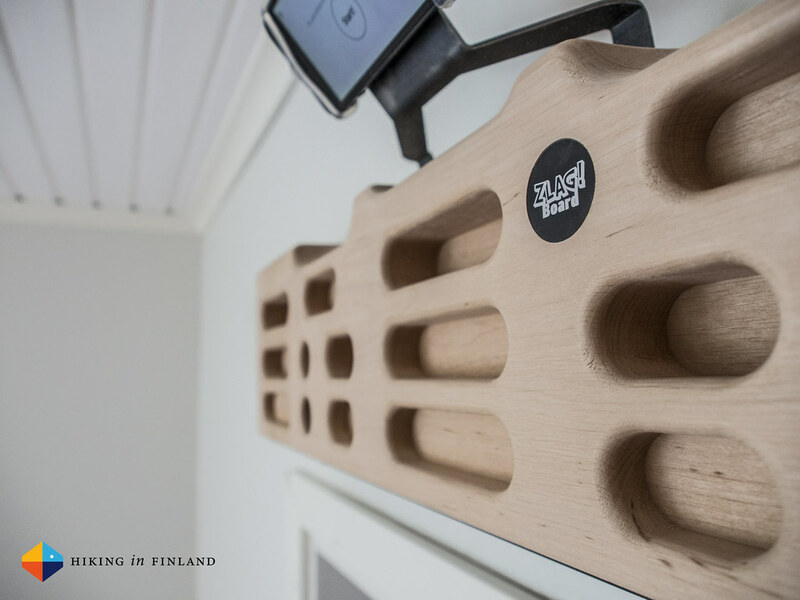 The Nilo is attached to the wall and allows you to mount the Zlagboard Pro or Vario to it, and you could even mount several Nilo boards in your house and then just move the fingerboards around to use them. The actual fingerboard is mounted on a steel frame, and so when you hang on the board the steel frame stays in place but the wooden part moves softly a centimetre down. It’s super stable (unless you mounted it sloppily!) and makes for a good feeling when training. The board self is made of Alder wood and weighs 7 kg, with a size of 70 x 16 x 6 cm. It has 24 different holds in 10 pairs with four holds in the centre. There’s two Jugs, one 10° Sloper and two 35° Slopers, and many Crimps & Pockets with a depth from 10 to 45 mm. Your smartphone is attached via the Smartphone Mount, which is an elastic gadget that attaches over the four corners of your phone and then you can slide it easily over the top metal part, so that you always easily can see what’s to be done next. These also can be bought separately and in different colours, in case you tend to missplace such things. Besides the Zlagboard Pro which you see in my photos there’s also a Zlagboard Mini and a Zlagboard Vario. The former is, as the name suggests, smaller and optimized for GimmeKraft! 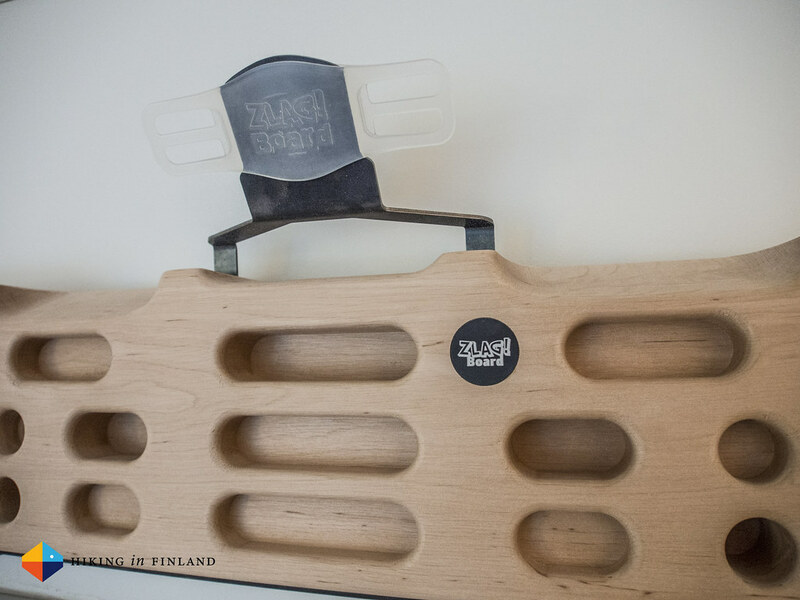 workouts, while the latter allows you to attach a fingerboard of your choice on it, be it a Beastmaker 2000 or Metolius Wood Grips Compact Training Board, you can attach almost any board to it and then create custom workouts for it. Now that you know about the soft- and hardware, it is time to look at the training. I choose the Basic Training Plan for starters and found it a good 50 minute workout three times a week. It’s organized in such a way that you first build up strength over the first month, in the 2nd month strength & endurance and in the 3rd month you go for power. In between exercises the App counts down your break time, tells you what’s next and also allows you to skip the break or pause the exercise if you gotta interrupt it. There’s a varied mix of exercises that makes use of increasingly difficult holds, for longer times, in more difficult positions. Pull-ups on the jugs are a good warm-up, and you can configure the App so that it either automatically counts them or that you need to touch the screen with your nose, as I so stylish demonstrate underneath. The breaks between exercises can go from 7 seconds to 5 minutes, which means you could read a book or answer some emails in between exercises - or just skip the breaks and continue in one go! 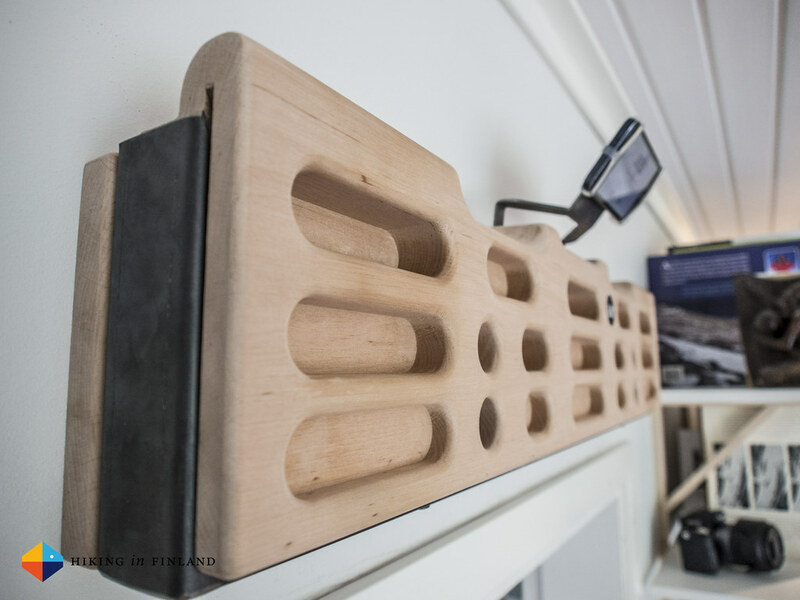 If you can not get to the climbing gym or crag as often as you would like to or are tired of your non-interactive fingerboard, then you’ll love the Zlagboard. 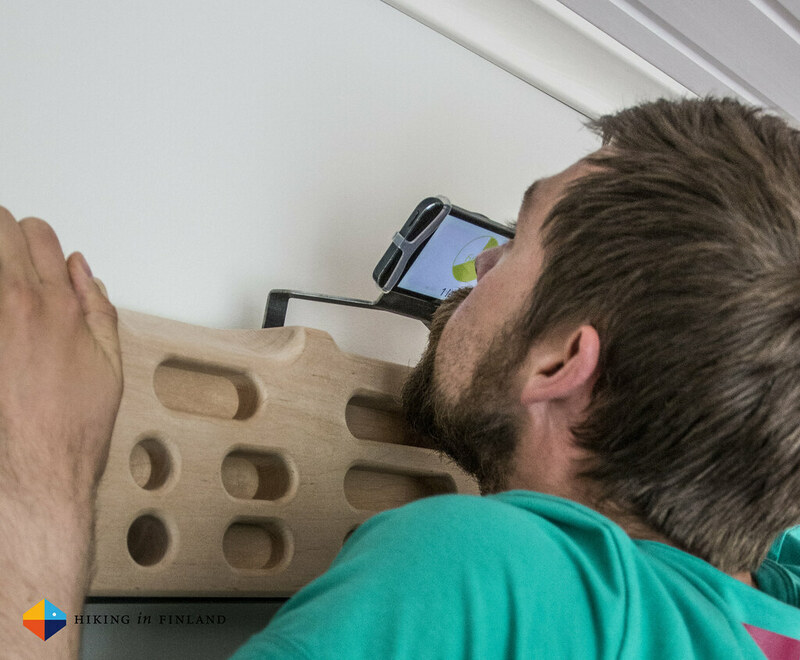 For me it is one of the best innovations in the climbing market in the last years and allows me to train efficiently at home, with professionally developed training plans, and it tracks my progress so that I can measure my results. 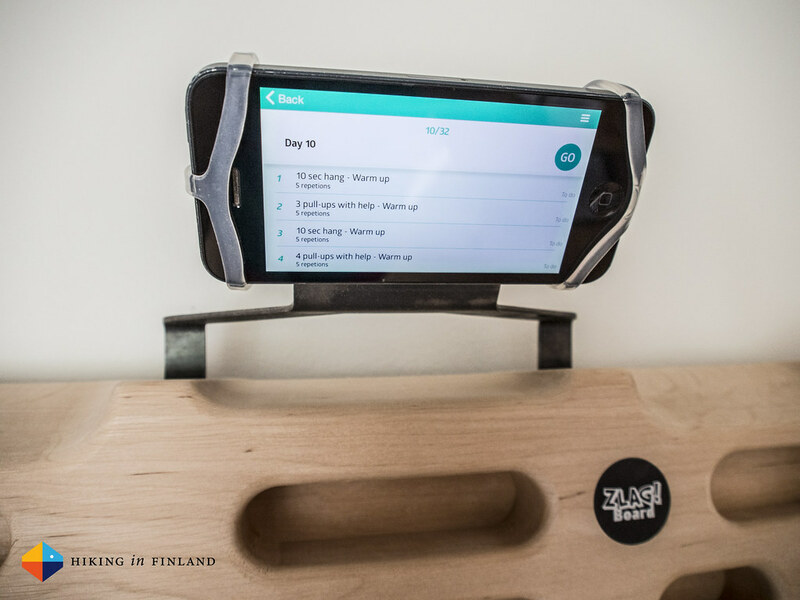 The wooden fingerboard is very well made and the App easy & intuitively to use. The training plans are fun and get increasingly difficult, helping to build up strength and techniques for real-world projects - like my trip to the Dolomites next week. For me the Zlagboard is a great tool and I often just do a few pull-ups or hangs on it when standing in front of the computer gets too much. I really rate it very high and would recommend it to everyone who’d like to train at home with professional training plans & measure the progress. You can get your choice of Zlagboard directly from Vertical-Life, at the Bergfreunde and Bergzeit. And if you liked this post share it with your mates on Twitter and Facebook!